Large multi-element radio telescopes are frequently used in a special way. This mode of operation is known as 'tied-array' and the way that it works is that signals from separated antennas (or arrays of antennas) are added coherently. The sensitivity of coherently combined stations should increase by the square-root of the number of stations compared with the incoherent station sum. Instead of working as multiple stations, they work as if they are just a single station. The output sum signal can be used in experiments such as very long baseline interferometry, pulsar and transients observations, extra-terrestrial intelligence signal detection. 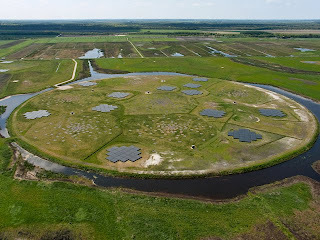 Within each LOFAR station, the signals from the antennas are phased to create a single output. However, on the 7th February, LOFAR announced that they had successfully combined the first data coherently from not just the antennas of a single station, but the antennas of multiple stations. 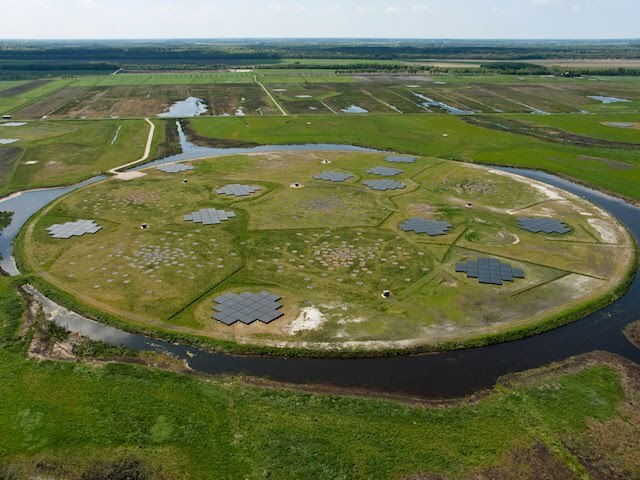 The stations used were the 12 HBA fields of the so-called 'superterp' — a large collection of small LOFAR stations, grouped together in the north of the Netherlands. clustered together on a moated circle of land. This new development has greatly improved the sensitivity of the LOFAR system. The EISCAT_3D system will also make use of this technique to improve sensitivity. A lot has been happing with the LOFAR array lately. It is great to hear about all these new developments.